This past January Ethan and I made the decision to climb Mount Kilimanjaro in Tanzania to help support a non-profit organization called Vision for the Poor. Through our climb, we raised donations from both individual and corporate sponsors to be used to support the treatment of children and families in need of sight-saving eye surgery and new eyeglasses in Guatemala, Haiti, Nicaragua, Peru, and Tanzania. We just completed the climb about one week ago and Ethan summited and got to stand on the top of Africa as Mt. Kilimanjaro is the highest mountain in Africa and the highest free-standing mountain in the world at 19,341 ft. (5,895 meters)! Neither of us are mountain climbers and while Mt. Kilimanjaro does not require technical climbing, it is quite a difficult trek because of the altitude and the final steep ascent at the top. I found this out first hand as while Ethan successfully summited, I decided to turn around and come down about three hours into the summit day at about 16,000 ft. as I was suffering from altitude sickness related issues. However, it was a great experience for us both and we’ll be sharing lots of information over the next couple of months about the full details of our climb and tips for those preparing for their own climb of Mount Kilimanjaro. We’d like to first take a moment to highlight Vision for the Poor’s Climb for Sight which inspired us to go way beyond our comfort zones and attempt this trek! What is Vision for the Poor “Climb for Sight”? Imagine being born blind. Worse yet, imagine suffering a blinding condition that could be treated. But because you were poor and lived in a remote region of the world you lived all the days of your life in darkness. Vision for the Poor has developed an accelerated and highly effective “elimination of avoidable childhood blindness” program at their three eye clinics in Guatemala. This project is a model for duplication at new clinic sites in Haiti, Nicaragua, Peru, and Tanzania. In Guatemala alone the World Health Organization estimates that 5,000 children will need funding for sight-saving surgeries such as congenital cataracts, corneal transplants, eye trauma, congenital glaucoma, and strabismus (crossed eyes), and nearly 86,000 will need glasses. Goals: To empower native ophthalmologists and optometrists at five eye clinics in Guatemala, Haiti, Nicaragua, and Tanzania to eliminate childhood blindness within five years by providing funding for sight-restoring surgeries and new eyeglasses. How it works: Climb for Sight is a bi-annual fundraising effort where teams of 12 raise money to climb Mt. 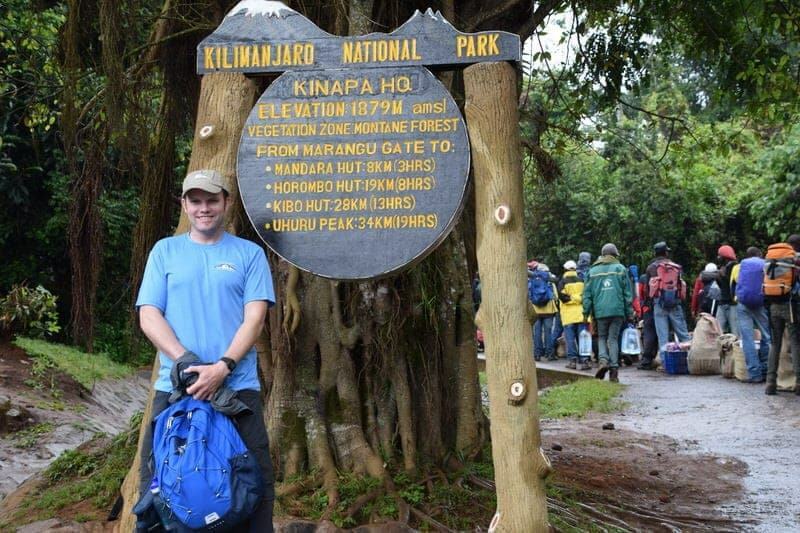 Kilimanjaro in Tanzania with funds benefiting the Vision for the Poor clinics. Conditions such as congenital cataracts and glaucoma, corneal transplants, crossed eyes and need for glasses are all treated at Vision for the Poor eye clinics with funds provided by the Climb for Sight campaign. Service Record: Since 1997: 430,000 patients treated, 27,000 sight-restoring surgeries performed (3,250 pediatric) and 65,000 new eyeglasses dispensed. How you Can Get Involved with Climb for Sight? We were approached by Climb for Sight and loved their objectives and their service record. In our day jobs, Ethan and I both work at hospitals (Ethan in a children’s hospital) so this is close to both of our hearts. At first we did not even consider climbing Mt. 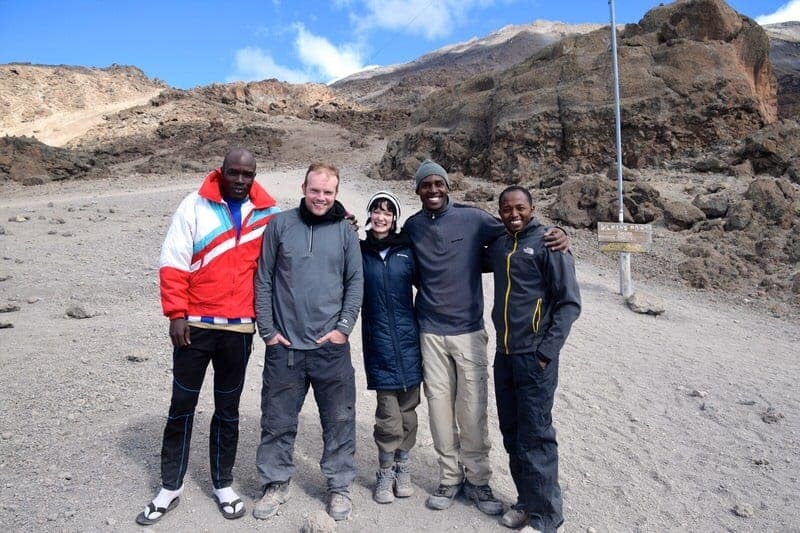 Kilimanjaro ourselves, but then took it as a personal challenge to try to do the fundraising and the climb. The main goal of Vision for the Poor is to help prevent the tragedy of children suffering needlessly and growing up blind simply because their families cannot afford a basic eye surgery. All donations raised through Climb for Sight are used to help fund eye surgeries, buy needed medical equipment, and purchase eyeglasses. 1.) Sponsorships. Raise $8,500 plus the cost of your airfare (for a total fundraising goal of $10,000 to $11,000, typically) from sponsorships to make your trip FREE. When your fundraising goal is reached, then Vision for the Poor will pay for all remaining expenses and refund any trip costs you have already paid (e.g. pre-purchased airline ticket). 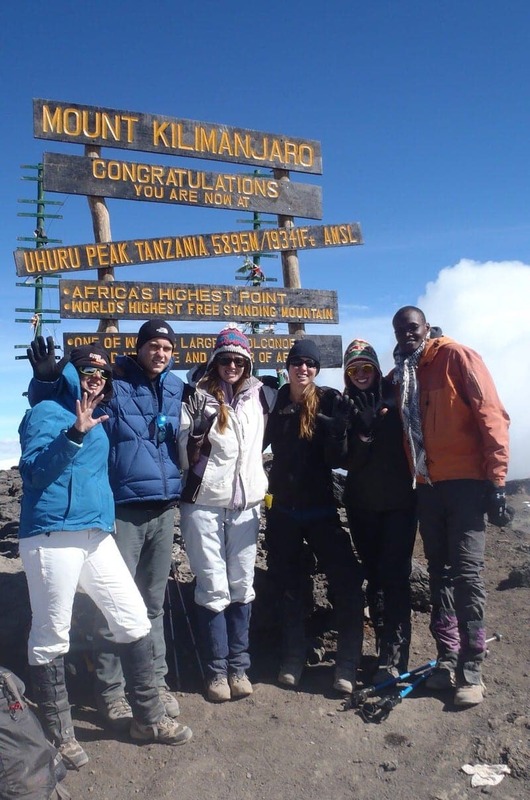 The trip includes the Mount Kilimanjaro climb and a few days of safari in Tanzania. The remaining funds raised will provide approximately 32 sight-saving surgeries. 2.) Self-Funded Plus Sponsorships. Pay for your own trip (approximately $3,500 to $4,500, depending on airfare) and raise a minimum of $3,000 in sponsorships. This minimum will fund surgeries for approximately 15 children. First, we’d like to give a thank you to all our corporate sponsors of our charity climb and trip to Tanzania. We greatly appreciate the monetary donations as well as the provided support through the donation of lodging, tours, transportation, and other services that have made for a successful climb and a great visit to this wonderful country! We’d especially like to thank Vivian and Godwin Temba at Amani Afrika and all their staff for the wonderful job they’ve done in helping plan our entire trip from beginning to end, including our climb of Mount Kilimanjaro. Finally, and perhaps most importantly, we’d also like to sincerely thank all of the individuals who donated money to help sponsor our climb. We were very touched by family members, friends, coworkers, blog readers, and even complete strangers who decided to help support this great cause. 100% of all your donations went to Vision for the Poor to be used for eye surgeries and to purchase medical equipment and eyeglasses. We greatly appreciate all the donations as well as the provided moral support and well wishes of everyone who helped us on this journey. It really was a remarkable experience. If you have any questions about Vision for the Poor’s Climb for Sight or any other questions about our climb of Mount Kilimanjaro, just ask us! 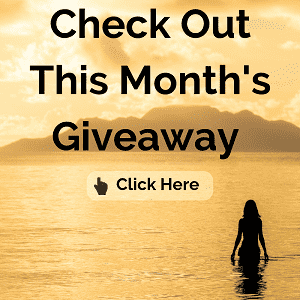 Also, keep checking back as we’ll be sharing lots of future posts about our climb of Mount Kilimanjaro, safari experience in Kenya and Tanzania, and our upcoming trip to Zanzibar! 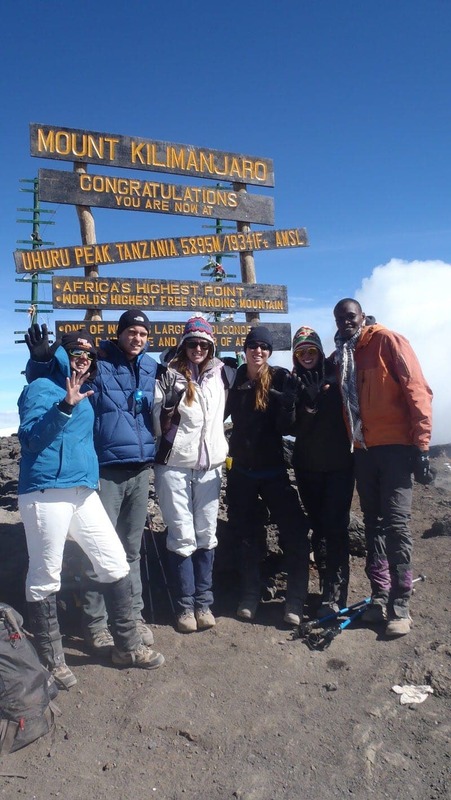 The Mount Kilimanjaro climbing is a memorable experience. I am enthusiastic to voyage that place again and again. Wow, what an amazing accomplishment! Congrats you two, you make a perfect team and I love that you did this such a great cause! Wow that is amazing! I think I want to climb Mt Kilimanjaro one day but the fact that you did it for charity is very commendable! Thanks Camila, I hope you get the chance to climb Kili some day as well. 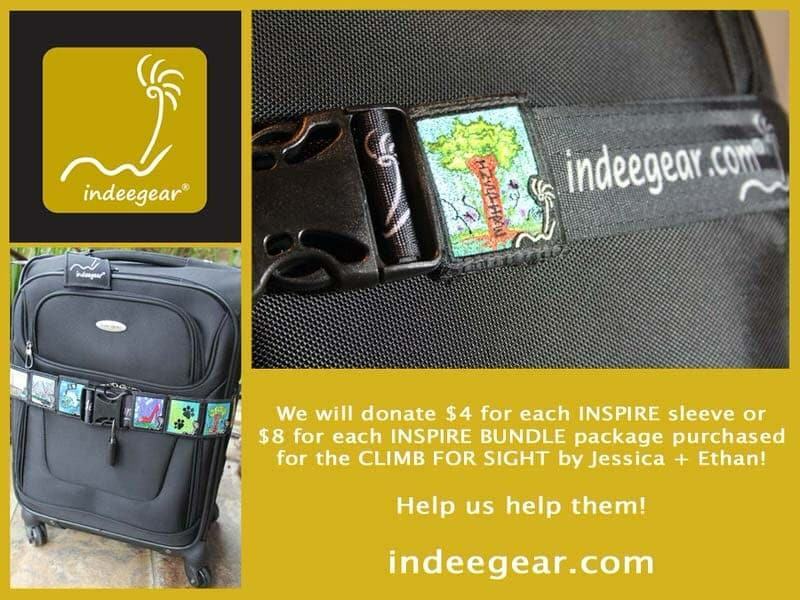 Check our Climb for Sight’s website and see if that might be something you would be interested in doing as well. Wow! A big congratulations to both of you. That is an incredible feat, and doing it to such a good cause is wonderful, too. I can’t wait to hear more about it and your time in Africa. I had problems with the altitude in both Haleakala, Hawaii and in Tibet,, so I’m guessing that I wouldn’t even make it as far as Jessica did. Both of you are amazing, and I’m positive that the children you’ve helped truly appreciate the gift of sight. Thanks Michele! We will be slowly getting up our East Africa posts over the next couple of months…we’ve been plagued by poor Internet connections most of our time in Tanzania but I guess being less connected is a good thing, right?! Yes, I am not sure if it was the altitude entirely (the almost constant headache probably was) or my having reactions to the yellow fever vaccination (I was running a fever and experiencing muscle pain/spasms about 2 days before the climb). But even with the negative symptoms, I am very happy to have done the climb and happy that we were able to support a good cause. What a great organization and a great way to support them. Congrats to Ethan! Thanks Carla! Ethan is quite proud although on the mountain itself so many people summmit that its like “oh, you too!” so he looks forward to returning home where he can really brag about his accomplishment:) For him, it is really special since he just had his most recent open heart surgery in November. 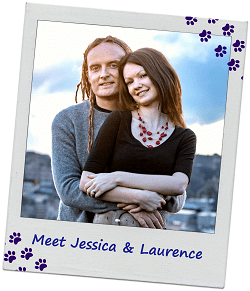 Jessica, What an incredible experience! The fact that you were able to combine your travel with helping out an awesome charity is too cool! Thanks for linking up again to Weekend Travel Inspiration. Thanks Iva, it was a great experience! The hike is quite intensive but one that most fit abled bodied people can do if they do a bit of prep and don’t have any negative reactions to the altitude. 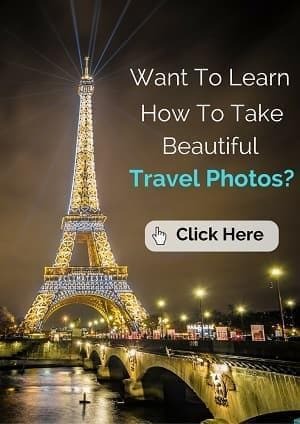 Wow this looks like an incredible experience! 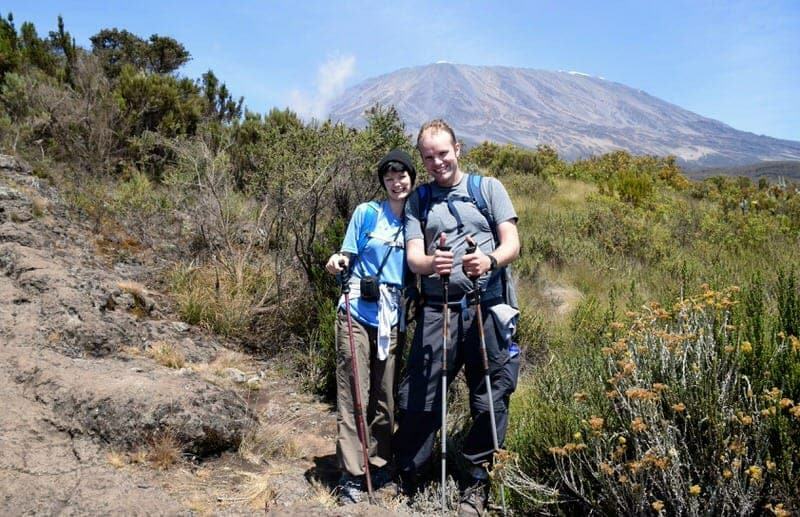 I’ve thought about climbing Kilimanjaro one day, but I never thought of doing it for charity. I love the idea. I might have to look into this more closely! I think you would love this since you are now doing some half marathons. It is definitely a personal challenge and adding the charity aspect makes it just that more meaningful. 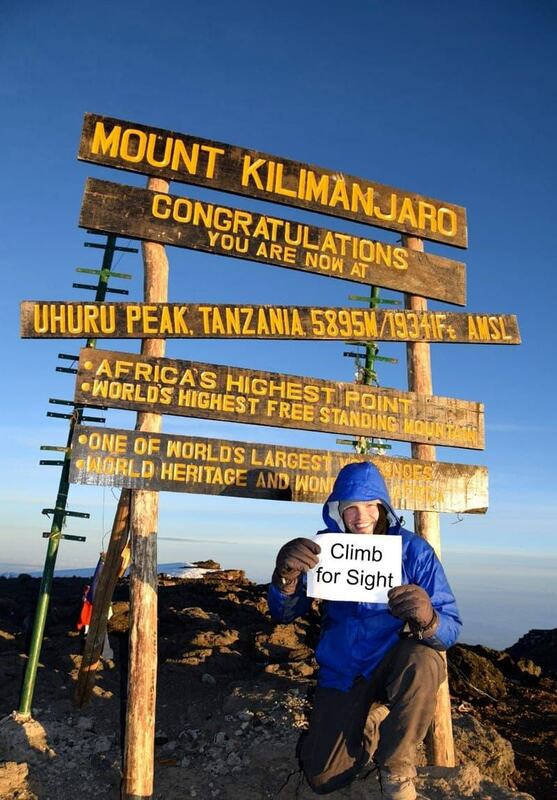 Climb for Sight is one of many charity options out there for climbing Mt. Kilimanjaro. I noticed your post as I was reading through Jessica and Ethan’s blog! I am a coordinator for Climb for Sight and would be happy to answer any questions you have regarding the climb, the fundraiser or the organization. January and February are recommended climbing months, as are July and August. 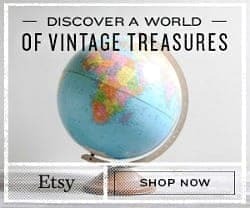 So you have some time to plan ahead and I’d love to help!